I haven’t finished anything this weekend except some beads so here’s my meager offerings. Some big hole beads that I still have to core with sterling silver. 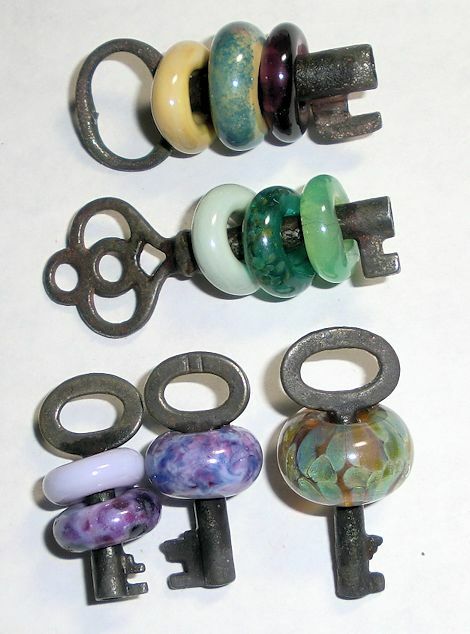 Beads on skeleton keys. I like making these. I’m going to be making a bunch of these to sell next year.